We are excited to be a part of Birds Of A Feather! 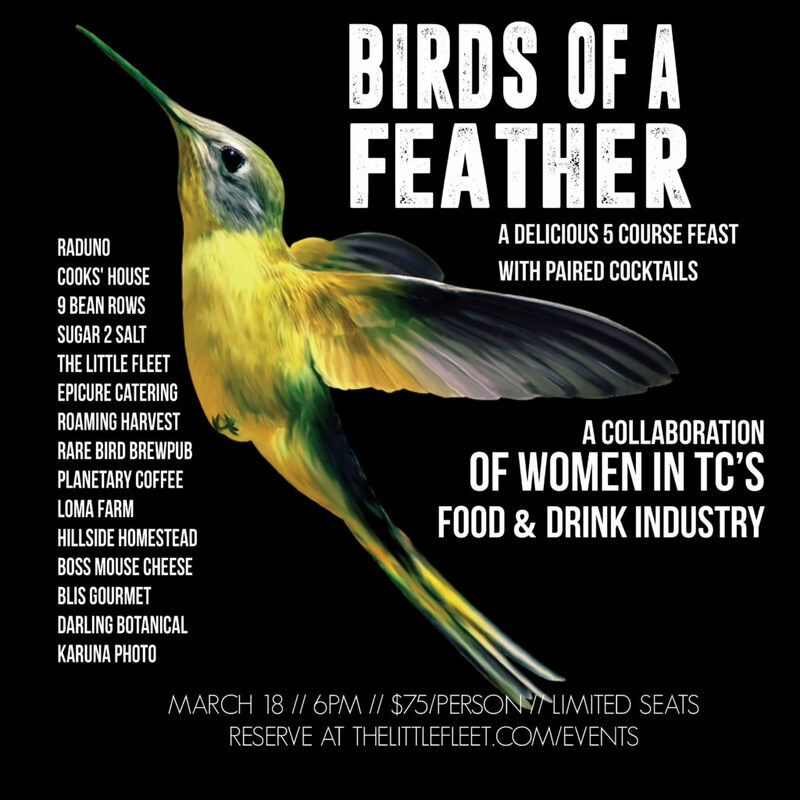 Birds of a Feather is a collaboration of women in TC’s Food & Drink industry. We are grateful to have to opportunity to work with all these talented ladies and hope you will join us. Food by Raduno, The Cooks’ House, 9 Bean Rows, S2S Sugar 2 Salt, Epicure Catering & Cherry Basket Farm, sourced from Boss Mouse Cheese, Hillside Homestead, BLiS, and #LomaFarm, among others. Tasty beverages by The Little Fleet, The Cooks’ House, Rare Bird Brewpub, and Planetary Coffee will also be on hand. Roaming Harvest and Epicure Catering & Cherry Basket Farm will team up to run the Front of the House. Darling Botanical Co. will provide the special touches, and the event will be shot by KarunaPhoto. Dream Team!